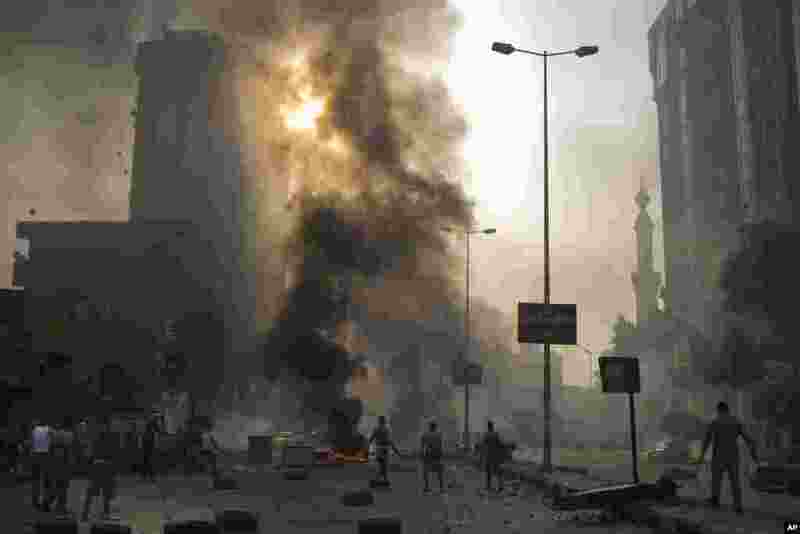 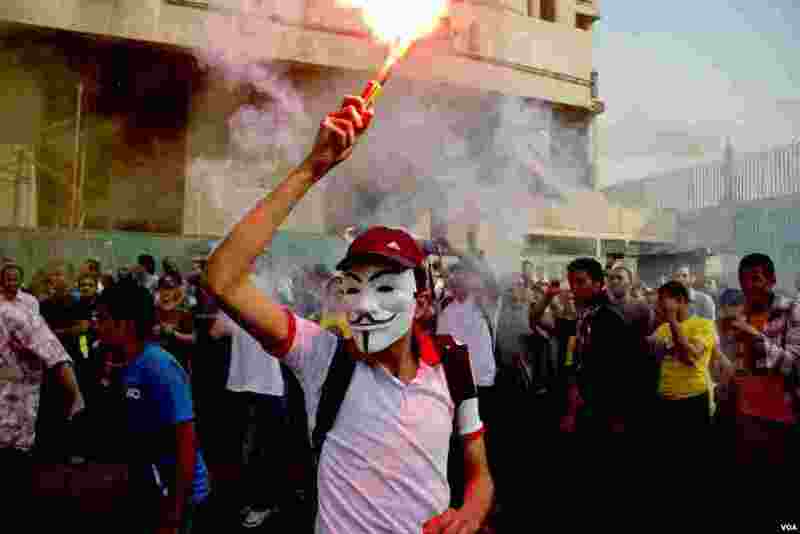 2 Supporters and opponents of Egypt's ousted Islamist President Mohamed Morsi clash in Cairo, Oct. 6, 2013. 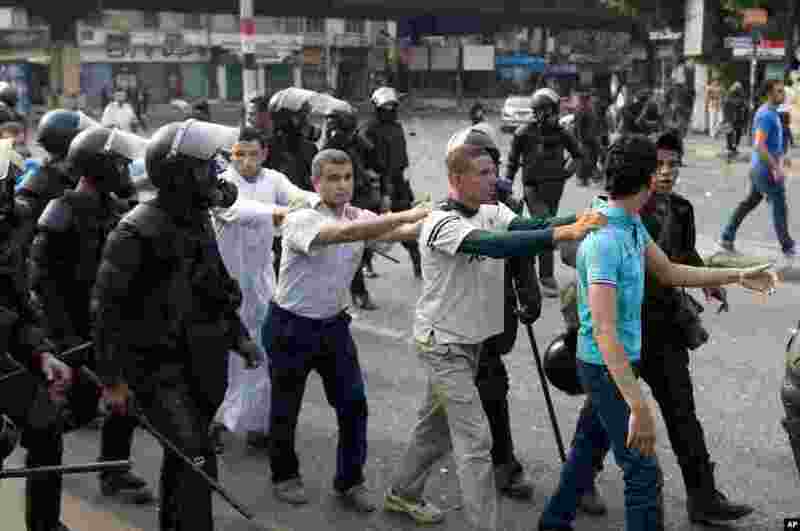 3 Egyptian security forces and civilians detain a supporter of ousted Egyptian President Mohamed Morsi near Ramsis Square, Cairo, Oct. 6, 2013. 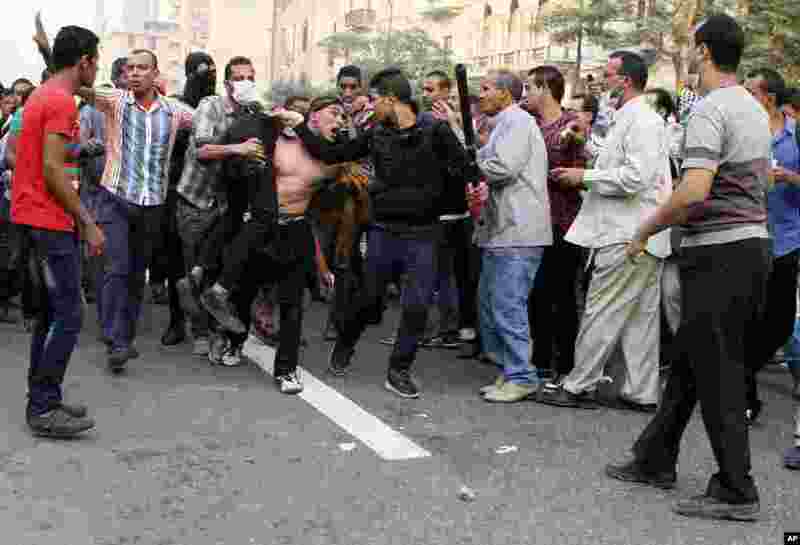 4 Supporters of ousted President Mohamed Morsi are detained during clashes with riot police in Cairo, Oct. 6, 2013.